SPENCER CO. -- Over the weekend, an ISP trooper was patrolling State Road 66 near CR 500 West, when he observed a speeding vehicle with a broken taillight being driven by Michelle D. Wilkinson, 27, Richland. 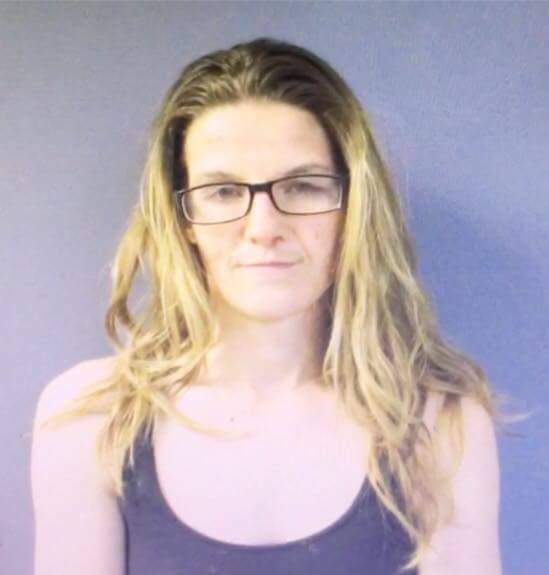 Wilkinson turned off her headlights and drove through the intersection of CR 500 West/ Eureka Road and again at CR 500 West/ 200 South, while attempting to elude M/Trp. Lytton. Shortly thereafter, Lytton was able to conduct a traffic stop on Wilkinson and as he approached the vehicle he observed a loaded 22 caliber handgun sitting on the back seat within arms reach of Wilkinson. Lytton was able to determine that Wilkinson did not possess a firearms permit. Reckless Driving, 1 Count, IC 9-21-8-52, Class C Misdemeanor.